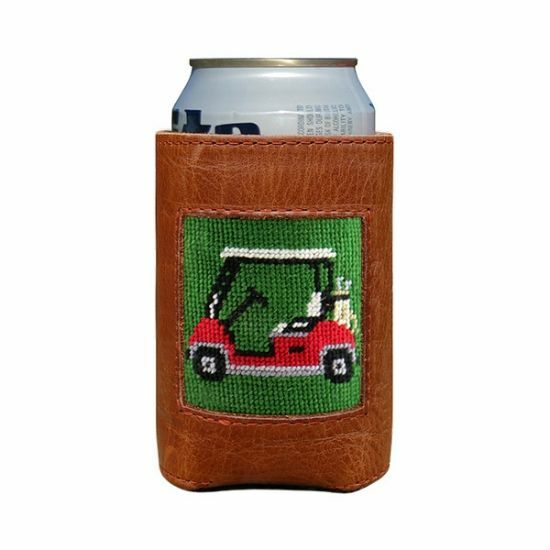 Our coozies combine our signature 100% hand-stitched needlepoint with an Italian, full grain leather exterior and neoprene liner. 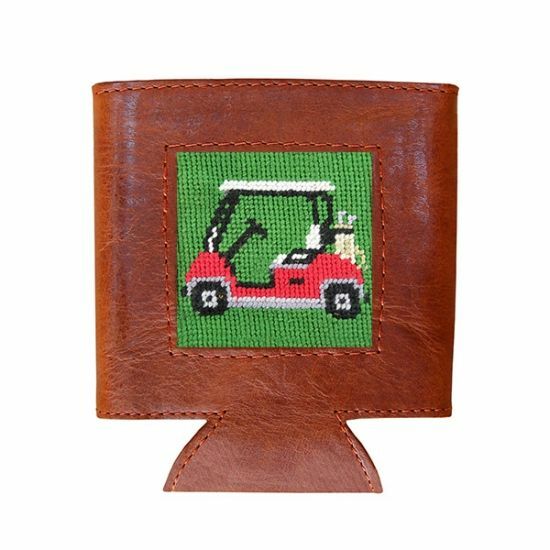 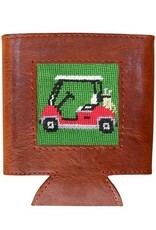 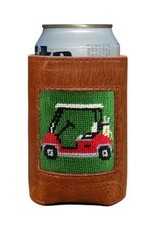 Keeping you and your drink cool through all 18 holes! 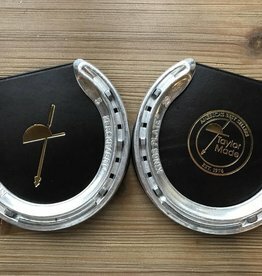 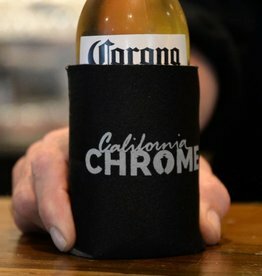 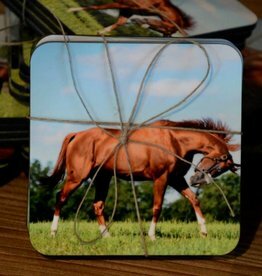 A perfect way to show your support for California Chrome - made with racetrack tailgating in mind!